Bill and Melinda want other countries to adopt the Aadhaar scheme. To undertake this level of project in other countries, the World Bank and the Gates Foundation have reportedly roped in multi-billionaire Nandan Nilekani. Aadhaar has been a boiling issue in India for the past few months. Data theft cases for as little as Rs 500, fake software to create Aadhaar cards, and alleged 'loopholes' in the unique identity scheme have left a dent on its credibility. It has been facing increased scrutiny over privacy concerns following several instances of breaches and misuse. Despite all this, Aadhaar as a scheme has been appreciated by many prominent people all over the world. Bill Gates, founder of one of the world's biggest tech companies, Microsoft, has been a staunch supporter of the Aadhaar scheme since the very beginning of its rollout. This time, he has again come out openly saying the Aadhaar technology does not pose any privacy issue. Not only that, he also appreciated Prime Minister Narendra Modi for fully "embracing" the scheme, which was initiated during the previous UPA regime. The founder of Bill and Melinda Gates Foundation told PTI his organisation has funded the World Bank to "emulate" the project as it is worth doing so. Bill and Melinda want other countries to also adopt the scheme. "The bio-ID verification programme has multiple benefits," says Bill. To undertake this level of project in other countries, the World Bank and the Gates Foundation have reportedly roped in multi-billionaire Nandan Nilekani. The Infosys founder, who is also considered as the chief architect of Aadhaar, will consult and help the World Bank carry out the 'Aadhaar-like' project in other countries. After the successful implantation of the Aadhaar scheme in India, other countries have also approached New Delhi for assistance in creating similar data base. Appreciating India for successfully implementing the scheme, Gates said India's Aadhaar technology could be implemented across the world. Bill Gates thinks the Aadhaar-like scheme could help improve governance, which is directly linked to economic growth and the overall improvement in society. "The benefits of that (basic ID -- Aadhaar) are very high. Yes, countries should adopt that approach because the quality of governance has a lot to do with how quickly countries are able to grow their economy and empower their people. Aadhaar in itself doesn't pose any privacy issue because it's just a bio ID verification scheme," said Gates. 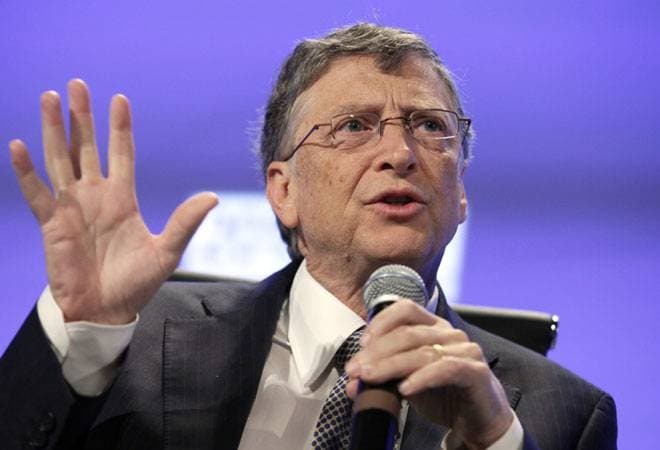 One of the world's richest men, Bill Gates, also tried to sooth fears around the Aadhaar data misuse, saying individual application users need to properly check who can see information. He also defended financial institutions seeking Aadhaar details for opening an account. "Application by application, you have to make sure that's well-managed. In the case of the financial bank account, I think it's handled very well. (It uses) Aadhar to set up the accounts so that you can both get your cell phone and get your bank account," he said, reported the agency. He said some of the initiatives carried out by the Narendra Modi government on digitisation could help improve the level of education in the country, and hence, the governance. Before this in 2016, Gates had said the Aadhaar is a scheme "never been done by any government before, not even in a rich country". The UIDAI's ambitious Aadhaar project is the world's largest biometric database with whopping 111 crore people of the total 125 crore Indians already connected with the identity scheme.